I’ve only just returned from my trek across the Atlantic, but I’m already dreaming of my next paddle on the water. Since being on solid ground all I’ve dreamt of is kayaking. But, due to not doing it for a while, I have a lot to work on before I can hit up rivers such as the Little White in the US or the Teigdalen in Norway. I am starting from scratch. Back to basics, and making it as hard as I can for myself. 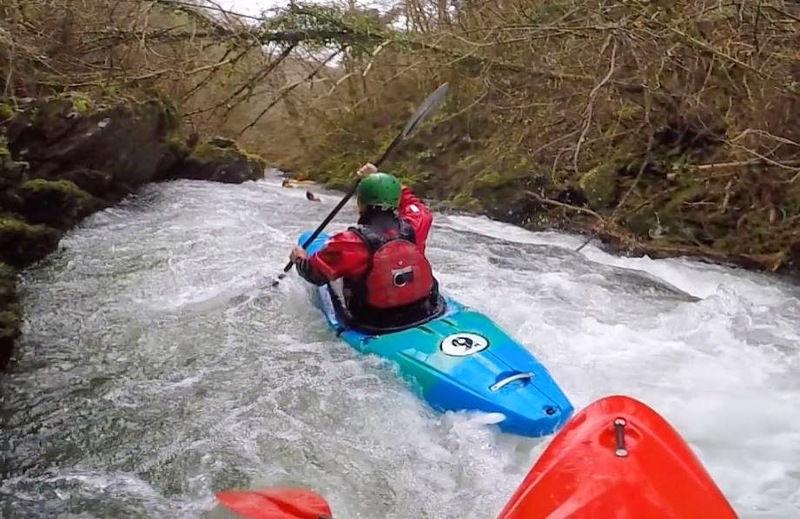 That means no big volume boats, no super forgiving displacement hulls, but sharp whippy boats that teach you the fundamental basics of white water kayaking. You know the dart. But how well do you really know it? Everyone in the South West likes to comment on what level they’ve run the dart at. But why does that matter? I’ve seen logs go down it at 7th step! And logs are terrible at fine art kayaking. You want to impress the girls? Carve some lines, make ridiculous break outs, treat small drops like 60 footers and peel out into the flow and boof them like no mans business. Summer 2012 – I thought that I knew what it took to run a big drop. But I underestimated the basic, simple and vital tools to run a waterfall. The small hole at the top which you can see me goating my way through led to what was a catastrophic crash down one of Norways most notorious drops – The Teigdalen Double Drop. What I’m trying to say is, forget the photo glory of flying off waterfalls if you haven’t mastered the small stuff. Re-think how you view the river. 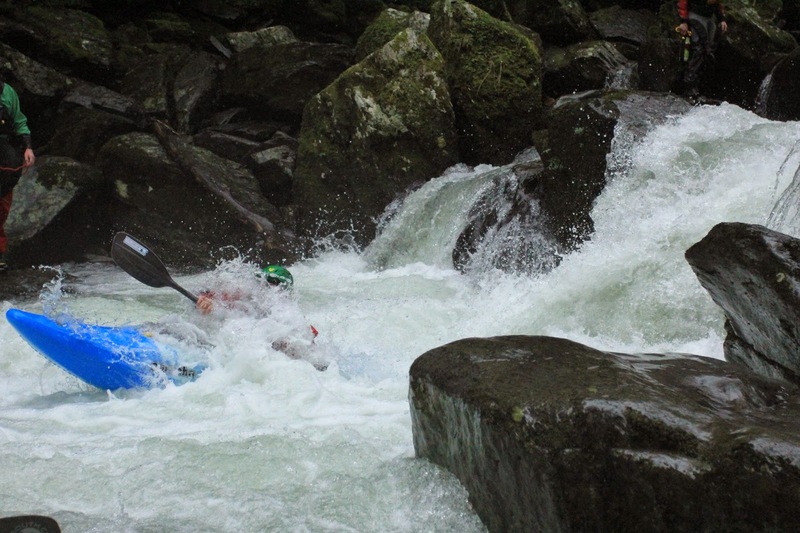 Instead of crashing down and feeling success having mainlined the rapids, why not look for a new line you’ve never tried before? It must be nearing a 300+ runs down the upper dart for myself, but every time, I look for a new line. That’s only recent, but it’s a way of trying to better yourself each time. Reconsider how you view the river – change your perspective! Re-invent your mindset – Try to have the most fun out of your paddling, and by that I mean make up crazy moves. 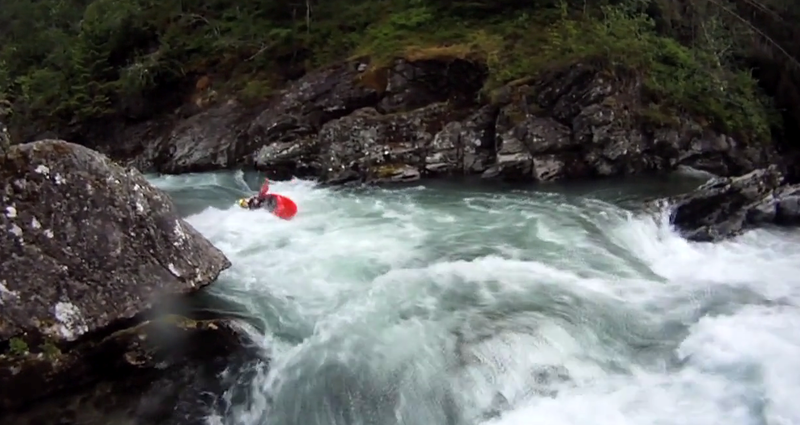 Bring back the flare and grace of old school kayaking. Most of all – look at the elders who taught you to paddle (that’s if you’re a young gun reading this). Most of the more experienced paddlers I speak to come from a slalom background that taught them balance, fine paddle placement and edge transfers as well as how to read the water impeccably. Wow, there is just so much good kit around at the moment. All our stocked brands have really raised the bar with the 2015 offerings. To help you out we have selected eight of the best PFD's available in store that are great for summer use. Not just summer of course but as the white water season slowly fades away ( apart from you lucky folks chasing the sun and snow melt across Europe) our paddling changes so our kit needs to reflect this. Some of these are new and others have had a facelift or subtle tweaks to recharge them. In we go in no particular order. 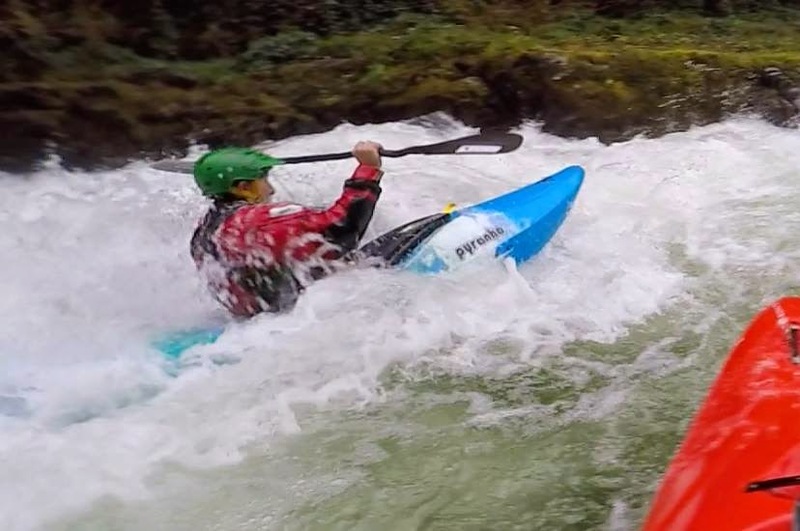 The cheapest PFD on the list, our go to every day recreational PFD. Its the PFD we chose for our hire business and basic tuition. Nipping at the heels of the FX the Galena is the new kid on the block. This PFD is so fantastically light I just don't know how the do it. Well actually its down to the layered foam inside and the Fusion fit technology. This wrap around foam and figure fitting padded mesh panels in the front and back. Pocket wars! This front loading pocket certainly competes with the FX and might actually be bigger. Max says "nice colour!" Three colours to be exact. Red, Blue and bright neon green. We have had this in store for about 2 years now. Its a quiet one, a bit like a Wolf bit it definitely has bite!. Max has had his for a while now and loves it. Again its light weight, ideal for the warmer weather and has a low profile fit. Its the little things about this PFD that make me love it. The sneaky pockets on the side panels, a fleecy hand warmer in the front with the Clam shell pocket on the front. Ok so you expect this kind of stuff but it will also take a chest belt (chest harness what ever you want to call it) so its great for towing situations. It also has a space in the back for a hydration bladder. Wins all round. One for the Sit on top crew. The most American looking (if there is a thing) pfd of the bunch as its covered with mesh in most places so you can see the light weight foam. The foam even has spaces in it to allow your body to breath and stay cool. Most SOT's have high back rests these days and the V8 has a reduced foam cut on the back to allow for this. Light, with pockets and cool (in every way) to wear. Updated for 2015. A little underrated pfd I reckon. Ok, so the internal chest belt adjustment isn't obvious straight away but get this on and it feels great. I think this is one of the best touring buoyancy aids available for under a hundred quid. The new 2015 updates include two solid colourways with a nice bright and safe orange and a trusty red. The highlights that set these off are the new coloured blue and yellow zips, very snazzy. A massive hydro bladder compatible pouch on the rear will take up to a 3 litre bladder. Enough juice for the thirstiest paddler. The badboy. Top end and fully loaded. Do you want more from your pfd? Well you can't have it as this pfd has it all. 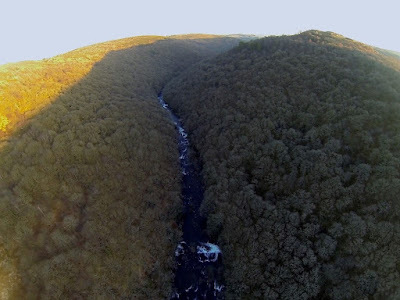 The choice of kayak anglers, expedition sea kayakers, open boaters and anyone who wants the best. Massive amounts of buoyancy, loads of storage, fleece hand warmer pockets a big hydro pouch/pocket at the rear. Hot off the press and straight to a top selling position. The Peyto is a fantastic competitor to the Yak Xipe. For an all-round touring buoyancy aid you can't go wrong with either. A huge reshaped rear hydration pouch pocket, fleece lined hand warmer pockets and super snug wrap around Comfort fit foam give a great fit. Smooth profile for easy re-entry in to your boat if you fancy a dip and the 3D anti ride up waist belt keeps every thing locked in place for the more wild adventures. Of course there are lots more buoyancy aids to choose from but this selection fits most needs for non white water paddling. Pop in to the shop for expert advice on what's right for you and the correct fit. As a 50 yr old boater I need a boat that will look after me, fear creeps in once you reach 40 no matter how much you fight against it. I have paddled and loved my Medium Burn 3 for just over a year now but demo'd the 9R purely by chance on a Slab covered Loop swapping boats with Amy Elworthy. I was unsure at 1st as the nose sticks up so high and it sits on top of water high, at the time I had no intention of buying one but enjoyed how it glided over features and kept the speed up all the time. It caught me out a couple times sat on the eddy line and had a couple rolls which was surprisingly easy. 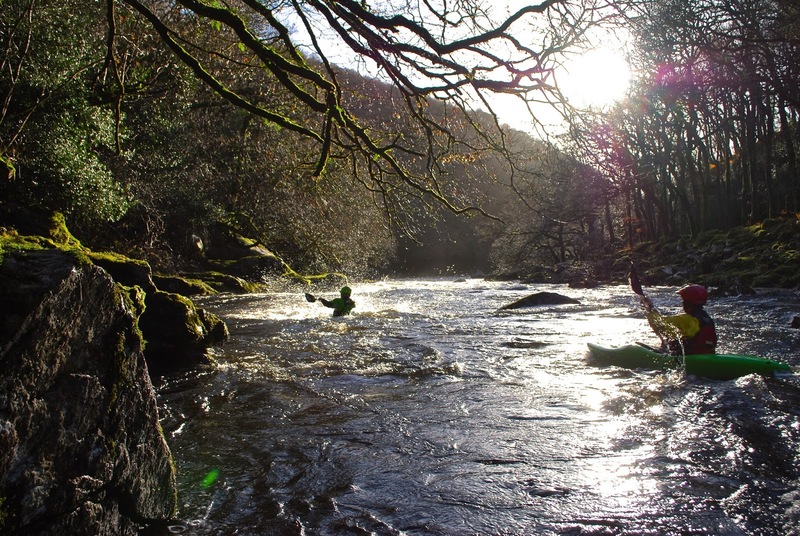 It wasn't until I got back in my Burn and started to get splashed in the face and sink a few times in features on the Upper Dart that I realised how good the 9R had been. 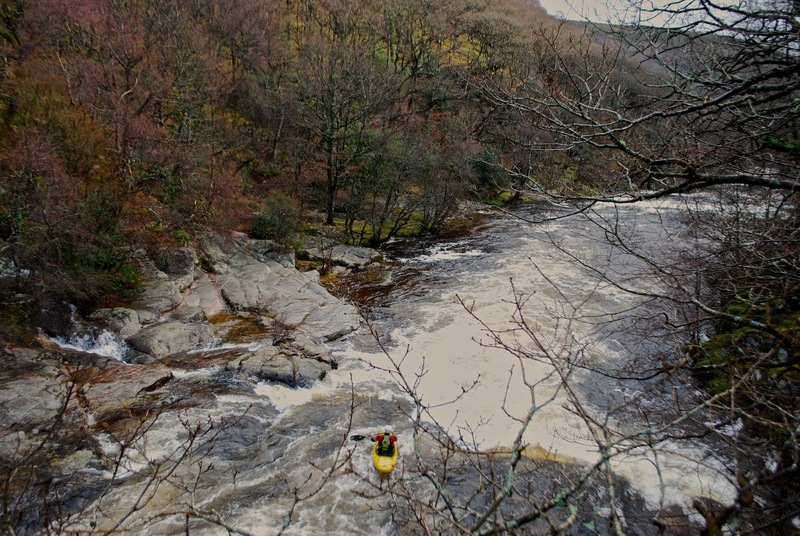 I watched some vids, read some reviews and took the decision to get one from AS Watersports, 2 days later I was testing it on the East Lyn at a nice level from Brendon to Lynmouth, I was again unsure of it at 1st and after a mile I was wondering if I should've stuck with a boat I knew for a committing river, but after Triple Drop and a few boofs over holes I was getting used to it and starting to realise its potential. The biggest thing I noticed is it's fast! I twice boofed over the paddler in front so a bit of space is needed or stay in front. 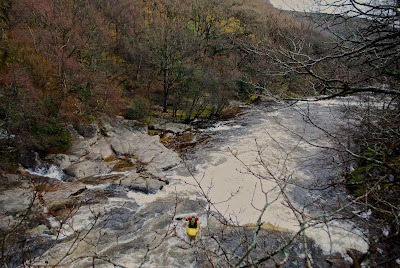 It's not as forgiving with the little rocks that catch you out as I found out once nearly getting turned over but once we reached the Gorge the 9R started to come into its own staying high and boofing every drop and hole with ease, I am fully aware it was more the boat than the paddler but if it helps me to paddle bigger water I'll take it with open arms. In summary the 9R is great for the adrenaline junkies but it also has a place for the lesser ability paddler like myself who needs every help he can get. Cant wait to get out again with it!